Home » Blog » Oh What Fun with Paper Trees! 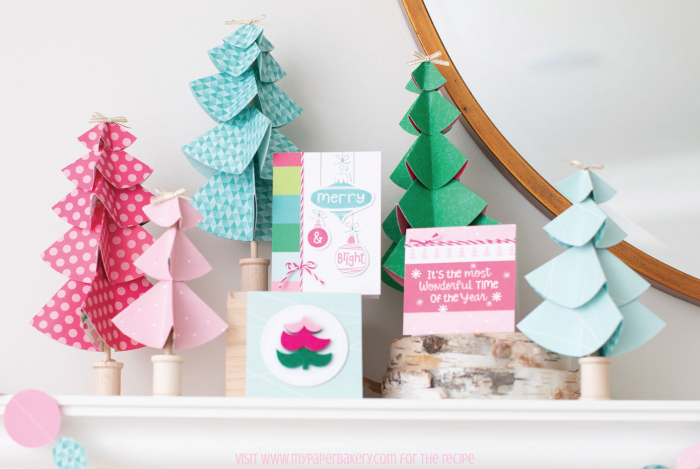 From whimsical to elegant, these Paper Trees are a breeze! 1. Starting with the largest circle, insert the dowel into the center of the circle. 2. Pinch the front and back sides of the circle against the dowel to make it look like the dowel is wearing a poncho. 3. Push the right and left sides of the circle against the dowel and crease the folds. 4. Repeat with each layer until you get to the top of the tree. This last circle will be lightly glued to the top of the dowel. TIP: Try covering the dowel and spool with paper, too!